This past weekend I went to speak at the Mother Earth News Fair in Pennsylvania. It’s always fun to walk through the venue and see what’s hot right now in self-sustainability. Owing to the presence of no less than five mushroom vendors, it was pretty obvious that mushrooms are on the minds of many. Growing up, I suppose I had more knowledge than my classmates about mushrooms. They may only have known about the sliced mushrooms on their pizza, but I used to go mushroom hunting with my grandfather. I learned that they are wily creatures that require a special walking stick and a bit of magic to locate. We always went in search of morels and until very recently, they were the only variety that I was comfortable gathering to eat. When I began to get deeper into my understanding of what the natural world has to offer us in the way of healing potential, the mushroom took on another level of appreciation. Mushrooms are delicious, healing, and nutritious. That is partly why they are fascinating. They sprout out of the ground, or rotting logs in a riot of color and shape, attracting both our admiration and our fear. What we see above ground is only a tiny fraction of the actual organism that lives and spreads underground. Mushrooms can be healing to both our bodies and the soil in the communities in which they grow. Paul Stamets will tell you that mushrooms can heal the world, and he means it. Most mushrooms contain compounds within them that qualify them as adaptogens. Adaptogens, by definition, are substances that tend to carry no contraindications. They tend to be useful for increasing vitality, supporting the immune system, and the overall stress response in the body. They may even be helpful against cancer and other degenerative diseases. I just recently wrote an article for Hobby Farms covering some of the common mushrooms that one might find in the woods. It is important to note that if you want to eat or use foraged mushrooms, you must be able to definitively identify them. Mushrooms like morels, chicken of the woods, lion’s mane, and maitake don’t have a lot of poisonous look-a-likes but it is still better to be safe than sorry. Never overdo it when you are eating mushrooms or “taking” them for health. 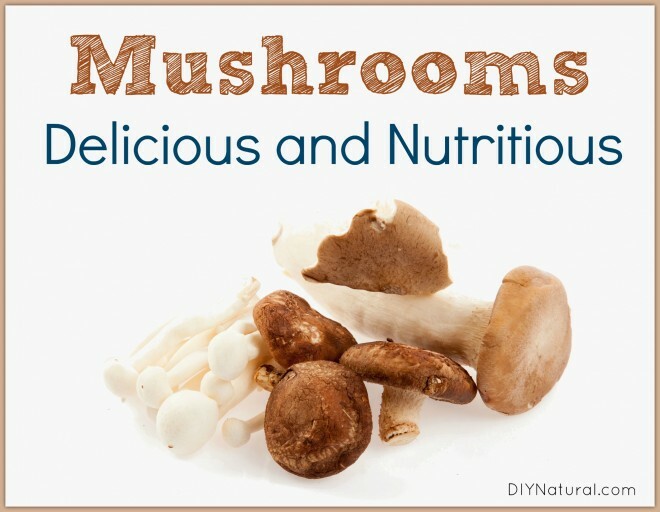 Start small, be sure of what you’re using, and NEVER eat raw mushrooms, even from the supermarket. The latest trend of growing your own mushrooms at home on an innoculated log or in a grow bag has opened up a world of possibilities to the average consumer. This weekend I marveled at the number of vendors selling the promise of everything from shiitake to reishi mushroom, making both the common and exotic accessible to all. Now I no longer need to carry my grandfather’s special morel hunting walking stick and spend a day in the steamy woods hoping for an elusive glimpse… but I suspect the wild allure will never fade regardless of how easy they are to grow in my basement. How about you? Have you ever foraged for mushrooms? Or used them for health? Share your experience in the comments section! Once saw a huge morel but fearful landlady destroyed it before I could identify it!! also…Why should we never eat raw mushrooms?? I love them raw….do you mean just wild ones? Mushrooms are not really safe to eat raw, especially the button mushrooms people like to use on salads. They have small amounts of a variety of toxins that affect us negatively over time. The mushrooms we typically identify as safe to eat aren’t going to cause immediate death like we’d expect with those that are toxic. Instead, the small amounts of toxins tend to register as carcinogens. This is why folks who make it their business to study and understand mushrooms thoroughly cook their mushrooms before eating them. I’m new to this website so may have missed something. Why should we not eat raw mushrooms, even from the grocery store, as you say? I generally get lobster mushrooms and make mock clam chowder or lobster bisque.